Well, Allison tagged me with a "Thinking Blogger" Award. As she explained, it's an award-tagging meme, where you select 5 bloggers (not blogs) who make you think and bestow the Thinking Blogger Award. Then each of those 5 bloggers choose 5 more bloggers who make them think, etc., etc., etc. The choices were indeed tough, as my own personal blog reader has some 80 blogs assorted into various categories entered, and that's not even including those that I read from The Diabetes OC/Diabetes Daily system! Therefore I am selecting my choices based entirely on the "thinking element" even though there are plenty of others whose blogs and writing I still enjoy tremendously. While a majority of the blogs in my own reader are type 1 specifically (partially because there are some unique elements that only fellow type 1s can share amongst ourselves), a few type 2 bloggers have, in my humble opinion, also really made me thought. I think Jenny at Diabetes Update and I have a great deal in common in terms of our approach to relying heavily on the scientific publications rather than the digested versions of the stories which appear in the mass media and looking at what the publications themselves say, not someone else's interpretation of the results. I also share her healthy skepticism of the endless barrage of miracle treatments promised by Big Pharma and a willingness to challenge conventional wisdom. Next, I have to select Kelly Close and James Hirsch at the Close Concerns Weblog for their often though-provoking blog posts. Knowing their business and respective backgrounds, I think I can speak of Close Concerns as a single blogger! 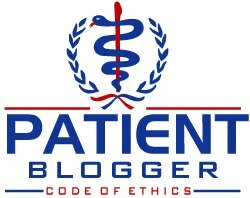 I may not always agree with their thoughts, but the posts nevertheless make me think about the issues, therefore I am bestowing the honor of a Thinking Blogger award on Close Concerns. Ryan Bruner is another blogger who makes me think about a whole variety of issues. One of his recent posts ("I Don't Need No Stinkin' Statins!") was an example of the type of post that caused me to assess whether prescriptions in the name of prevention are always a good idea. We may also wish to consider the same thing when it comes to ACE inhibitors when a patient has neither hypertension, nor kidney issues. It may slow nephropathy, but only when that is a real risk. Dr. Steve Ponder at Challenge Diabetes, who is one of the physicians who happens to have a very personal connection to diabetes always has thought-provoking posts. Better still, he tends to be very succinct and to-the-point, so its easy to read! Sometimes I agree, other times, I challenge his logic, but I am rarely left without some thoughts on the subject. Finally, Kassie at Noncompliant has what I consider one of the best titles for a blog. I love it! In terms of making me think, she also posts on a range of topics -- some thought provoking, others just amusing, but enjoyable regardless! I also love Jacob Goldstein and Scott Hensley at The Wall Street Journal Health Blog for their coverage of news related to health and the healthcare business, government and a range of topics in between. However, as a shared blog operated by a publication, I don't think they qualify, but I nevertheless wanted to mention it as one of the many blogs I enjoy reading. 1. If, and only if, you are tagged, please pen a post with links to 5 blogs that make you think. 2. Link back to the person who tagged you, so that readers can "find the origin of the meme." 3. Optional: Display the "Thinking Blogger Award" widget, hot-linked to the TBA post you wrote.